Are altars legal in tournement play? Yes! That’s why I’m running Assemble the Legion as well! For sure, double duty. If you decide to go with a few token generators, I just learned about Akroan Crusader as a neat well-themed creature. I haven’t put it in my deck yet but also Launch the Fleet could be dope as well. McToters: Nice idea for it - I was debating on running removal effects, but largely against them since recurring them requires me targeting my own stuff, but that is a nice work around. bonus point - it means Assemble the Legion can pull double duty. I don't think that Miraculous Recovery or its ilk will work, so that gives me a bit of room for token production. ZendikariWol Hey thanks for all that! WOW, so to start off thanks for the spellcheck. I did that part in a rush and haven’t been able to put all my attention into setting this deck up here yet. They’re fixed now! Now for the suggestions: I don’t see how Cathar's Companion is strictly worse than Seeker of the Way only because they’re doing different things off of casting the non-creature spell. With the companion I like the idea of making it indestructible to add extra protection against board wipes. Though I will agree to see that it isn’t very game-changing. It’s just a measly 3/1 for 3. I’m not stuck to keeping it, but maybe you can convince me to take it out! This deck is mostly jank anyway. Flamewright and Assemble the Legion are in mainly to interact with the Path to Exile combo where I can target my own creatures while Feather is out and ramp every turn. Or use Swords to Plowshares to gain 1 life a turn lol. That one is a weak trade-off but Path is excellent, especially for ramp in Boros. If you have better synergistic ideas for me to utilize Path I’m all ears! I will definitely be taking out Radiate for Zada, Hedron Grinder though. That is a fantastic point. As well as I expect to replace Dual Shot , Lithomancer's Focus , and Kindled Fury once I come across better cards. Same with Onward / Victory and Orim's Touch . Oh and unless I’m reading it wrong Shower of Coals is 6 damage for 5, or with threshold, 12 damage for 5–which probably still isnt the best but I’ll see how it runs for a while. I’m going to check out your deck now to see what I should be running in place of some of the weaker jank I’m playing. I’m always down to hear more suggestions if you have them! If you are going for tokens would be Assemble the Legion a good card? You have a couple spelling errors in the description. Hate to be that guy, but I feel it's better you know, ya know? "shuold" -paragraph 1, there's a properly-spelled "should" in there too, but trust me I'm not just playing gotcha!. "not" -paragraph 7, I'm assuming you meant "now"? Anyhow, down to the actual deck. You have a couple bulk cards I'm honestly a little perplexed by the inclusion of. Cathar's Companion is a strictly worse Seeker of the Way . Flamewright , while a fun card, doesn't have any synergy with the deck. Shower of Coals is just not a good card. 4 damage for 5 mana? I know it's repeatable but it's really not great. I have a pretty hefty removal package and Imma be linking my deck below, if you'd like to look. 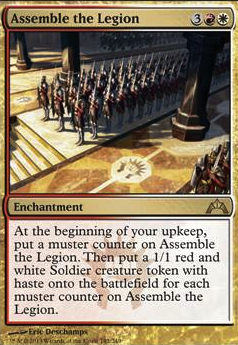 Assemble the Legion is in the same vein as Flamewright ; a great and very fun card, with little to do with this deck. In fact- you should make a Marath, Will of the Wild token deck! 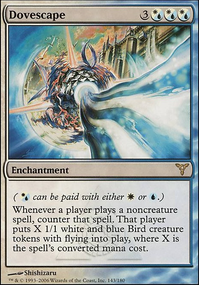 Pump spells that probably have better alternatives include Astral Steel (unless you're planning to have 5+ mana up), Captain's Maneuver (though a ton of fun, how often do you actually cast it? ), Dual Shot (very weak), Enrage (also overcosted- love the flavor text tho), Kindled Fury (not bad, but there are better out there that do the same thing), Lithomancer's Focus (usually just a worse Brute Force ), Onward / Victory (you can never cast the good half if Feather's out), Orim's Touch (there are just a lot of better protection spells), Radiate (worse version of Zada, Hedron Grinder or Mirrorwing Dragon ), Spark Jolt (scry 1 for 1 every turn is decent, but better alternatives, bla, bla, bla), Sure Strike (worse Invigorated Rampage ), Surge of Zeal (usually worse than Expedite , right? ), Tandem Tactics (good, not great tho). Sorry I kinda gave you a LOT of stuff. This is about what my Feather brew would be if I made it in real life. Fortunately I use tappedout to build my ideal deck and make sure I don't waste all my money on "ooh that's really good, I'll use it sometime" cards. Feel free to yoink some ideas from my brew! Hey, nice deck. Wow that's a lot of artifacts. I don't think you need to play so much lackluster equipment. You don't want to run less than 15 equipment, but the problem is there isn't 15 equipment that's worth playing that's in your budget range. Helm (combo win), Sunforger (card advantage), Jitte (creature removal, pump and life), Animist (land ramp), Blackblade (secondary win condition with Aurelia), Skullclamp (draw), Mask (draw) and Boots (protection) is all you really need. Each of these have a unique purpose that can help your strategy; the other equipment while fine doesn't in my opinion add enough. Consider Sigarda's Aid ? It's one the best cards with equipment. Consider Knight of the White Orchid , Gift of Estates , Expedition Map and Boreas Charger ? These cards can search for Mistveil or other Plains/Foundry/Land. Knight or Charger can put the land onto the battlefield and both hold equipment well. Charger has one toughness which is good with Skullclamp. Consider Assemble the Legion , Luminarch Ascension and Smothering Tithe ? 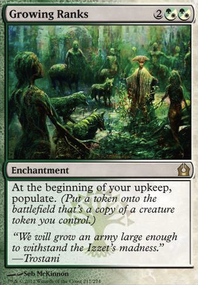 Are all very good cards for multiplayer Commander because they give you repeatable value. Assemble and Ascension are sources of tokens and 4/4 Angels hold equipment well. Assemble is great with Skullclamp. Smothering can be repeatable ramp and treasures are artifacts, this helps to activate metalcraft for Puresteel and Archangel. Consider Mother of Runes , Grand Abolisher and Aven Mindcensor ? Mother helps with protection. 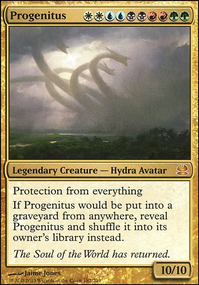 Abolisher is kind of expensive price, but is worth it to protect the creature you equip on your turn as well as protect cards you cast from counterspells, etc. Mindcensor makes your opponents tutors less effective including Fetch lands. 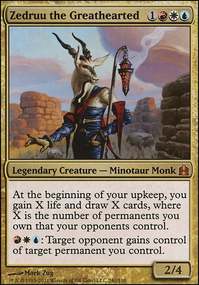 Boros as colors have less tutors that most other colors therefore taking this advantage away from your opponents who have a lot of tutors gives you a big advantage. Mindcensor has flying, can hold equipment well.